Auburn Parks and Recreation offers swim lessons for all ages. 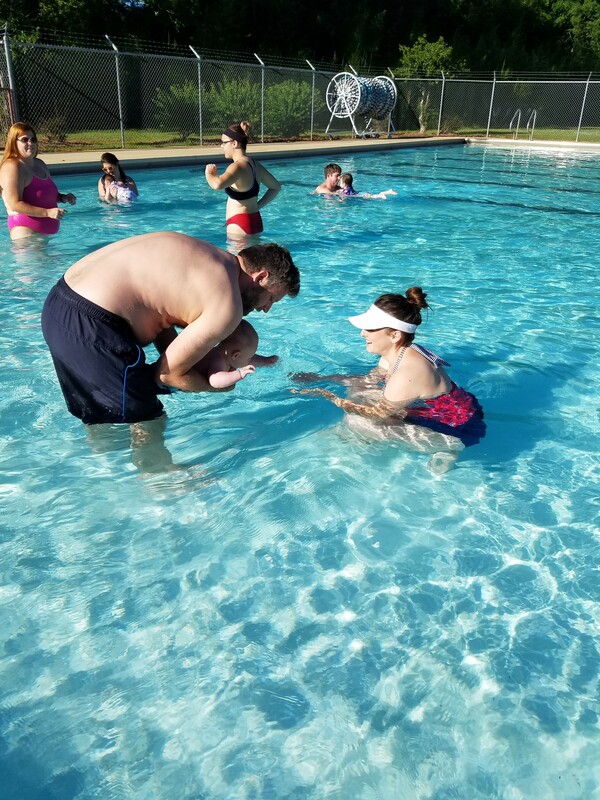 All lessons are taught by Lifeguard - certified swim instructors, with classes offered during the months of May, June and July. In order to register for a level, the participant must provide proof of certification for the previous level OR be able to effectively complete all skills required of the previous level. Evaluations of participants will take place on the first day of class. Levels are listed below with recommended ages. Ages are strictly for guidance. Participants will be classified by skills, not necessarily age. Registration for 2019 swim lessons begins on Monday, March 4, 2019 online. All lessons are $40 per person plus a $2.75 online registration fee. Swim lessons will be offered for each skill level at various times and dates over the course of the summer months from May - July. A schedule of 2019 lessons will be published in January 2019. Dates and times will also be listed in the 2019 Spring Brochure published by Auburn Parks and Recreation. Registration for 2019 group lessons will begin on Monday, March 4, 2019. This course is designed for parents interested in acquainting their young children to the water in a fun and controlled environment. Participants will be oriented to the water through games, songs and introductory skills. Parents are directly responsible for their child’s instruction while under the guidance and supervision of a swim instructor. One class will be dedicated to informing parents of the efficient ways to help the kids continue to progress. No prerequisite required. To advance to the next level, the child must be: age 4 or older AND able to participate without parent involvement. Registration for 2019 swim lessons will begin in March 2019. Participants in this class will learn the following skills: submerging head underwater, kicking with and without instructor assistance, floating on stomach and back, kicking to instructor from wall, breathing while swimming, freestyle arm motion, pushing off stairs to instructor and streamline. Registration for 2019 swim lessons will begin in March 2019. Participants in this class must be at least 5 years old and have graduated from a previous Guppies class. Students will refresh skills learned previously and continue to increase their comfort level in the water. This class will be taught in the Main pool at Samford. Participants in this class will learn the following skills: review freestyle arm motion and kicking to instructor from stairs, basic freestyle stroke (swimming to instructor from wall/stairs), freestyle breathing, kicking on back, basic backstroke, swimming across stairwell without stopping, breathing while continuing strokes, jumping into the pool unassisted and swimming to side and treading water. Registration for 2019 swim lessons will begin in March 2019. Participants in this class will learn the following skills: streamline kicking off the wall on stomach and back, diving in from the side of the pool, review backstroke, working toward swimming a full lap of freestyle without stopping, freestyle and backstroke drills for body position and technique and (depending on class) other strokes and drills. This class is designed also to prepare students for participation on swim team. Registration for 2019 swim lessons will begin in March 2019. It is never too late to learn how to swim! If you have always wanted to learn how to swim, but never had the time or opportunity, now is your chance! Lessons are available to fit the schedules of working adults. This class will review all skills from other levels and be tailored to the needs of the class participants. Registration for 2019 swim lessons will begin in March 2019.